The Soil Reflections Tour will be paying Orient Theatre in East London on 5 April 2014 a long overdue visit. Continuing with its national tour after successful and sold-out shows last year and beginning of this year; first at The Lyric Theatre (Johannesburg) in October, The Feathermarket Theatre (Port Elizabeth) in November and just recently in February, the Durban Playhouse. Produced and presented by Native Rhythms Productions, The Soil: Reflections Tour is on its 4th round of launching the groups first ever live DVD and CD recording and will be followed by more rounds in Newcastle, Empangeni, Cape Town and Bloemfontein. Dates to be announced. 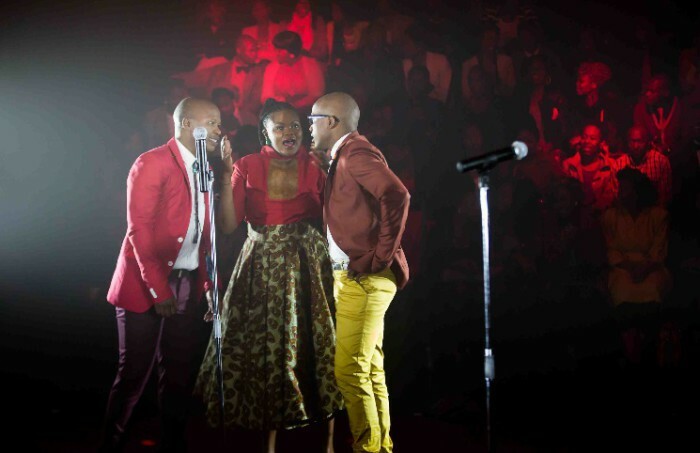 Released on 21 October 2013 and still selling like hotcakes at music shops around the country, the DVD appropriately titled “Reflections Live In Joburg” – is a recording of highly spirited songs reflective of their social uplifting music dating back 8 years as well as moving into a future so bright with songs such as Baninzi, Joy (We Are Family), Iinkomo plus new material written from recent experiences through their travel locally and abroad. This is years of hard work, dedication and passion to an artistic expression, defined as ‘Kasi Soul’ – Accapela: a blend of contemporary township style and an eclectic mix of urban contemporary genres, which fuses beat box and soul. This recording reflects The Soil’s aspiration for a world full of joy, hope, faith, goodwill and love. “The tour has gone exceptionally well, we cannot wait to visit our family in East London and share the gift given to us by god, the 4th member of our group. We appreciate the support coming from everyone in all parts of the world” – The Soil. Tickets are available from Computicket from R120 and Orient Box Office on the day from R120. – Press Release by Native Rhythms Productions.